Dwarf Fruit Trees for Sale Online! Dwarf fruit trees are fantastic choices for home growers who want bountiful fruit, but who aren’t looking for enormous trees. These plants tend to max out in height between 4′ and 10′ tall, and can be grown in pots, or (depending on your climate) in the ground. If you live in a colder climate but would like to grow fruit, you’ll need to bring your fruit trees inside during the cold months. This article looks at several great fruit tree options. We’ll start with a few bits of information growers should be aware of, and then we’ll look at 10 great dwarf fruit trees for sale online. 1.3 Can You Grow Dwarf Fruit Trees Inside? With virtually all the trees we’re looking at today, it is illegal to ship them to certain states. Federal agricultural law prohibits residents living in certain states from ordering fruit trees online. Frequently those states are Arizona, Texas, California, Louisiana, Hawaii, Alaska, and Florida. In some cases, such as for blueberries, California, Oregon, and Washington are prohibited. Be sure to check to confirm that you can get a delivery to your address; the listing will state if there are any prohibitions. Regardless, the seller should confirm your shipping address, and if there is an issue, should send out an immediate refund. Even though these plants are all pretty well packed, there’s a good chance that when you receive the plant, it will be quite dry. You should immediately unpack the plant when you receive it, and give it a good healthy dose of water, and let it drain. Can You Grow Dwarf Fruit Trees Inside? For the most part, you should be taking your dwarf fruit trees indoors if you’re in a cold zone, assuming your plant is in a pot. Some fruit trees, such as the mulberry tree, aren’t ideal indoor fruit trees. These trees will shed a lot of berries, which can stain floors if not properly attended to. Consider a portable greenhouse or polytunnel greenhouse, if you want to grow plants like mulberries in pots, but live in a cold zone. Yes, of course, you can do that! Just be sure to check the tree’s hardiness zone, and compare it to your own. If you’re in an area that freezes, it’s almost certain that you should be taking your dwarf fruit trees indoors when the cold comes. You can find your Plant Hardiness Zone from this USDA graphic. Brighter Blooms has several different options for Meyer Lemon Trees available online. Choose from several sizes between young 1′ plants to mature 5′ plants. These come in a standard plastic pot and will need to be re-potted upon receipt. There is a gift tree option that includes an attractive pot. If you choose the smaller tree, it will take a few years to bear fruit. The larger trees will likely produce fruit the year you receive them, or perhaps the next year. 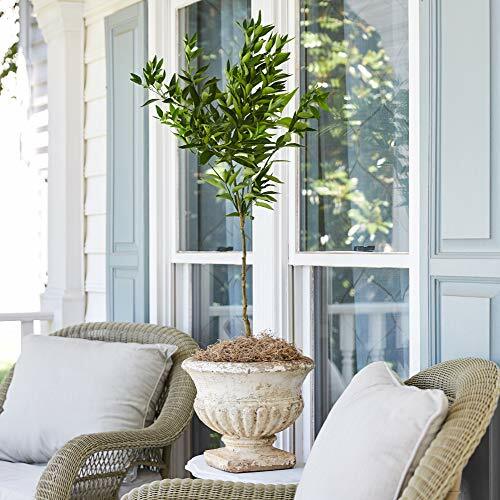 These trees will reach a maximum height of 5-10 feet, but if they’re getting too big for your space, you can always prune them to a shorter height. This dwarf fruit tree ships at about 1′ tall, and is a pint-sized tree that produces pint-sized pomegranates! The maximum height for this variety is right around 3′, as is the width. American Plant Exchange’s Dwarf Pomegranate produces a unique fruit that is a pomegranate but has notes of raspberries and strawberries in the flavor profile. The tree has beautiful flowers that will look great, and the fruit is a real treat! These trees can survive outside until the temperature gets down to around 40′. At that point, bring them inside for the winter. Note: a few people have reported their pomegranate tree shedding leaves upon arrival. If that happens to you, contact the seller immediately. 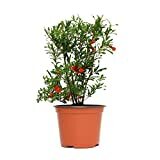 AMERICAN PLANT EXCHANGE Dwarf Pomegranate Bush Indoor/Outdoor Live Plant, 6" Pot, Fruit Producing! This item does not ship to California. 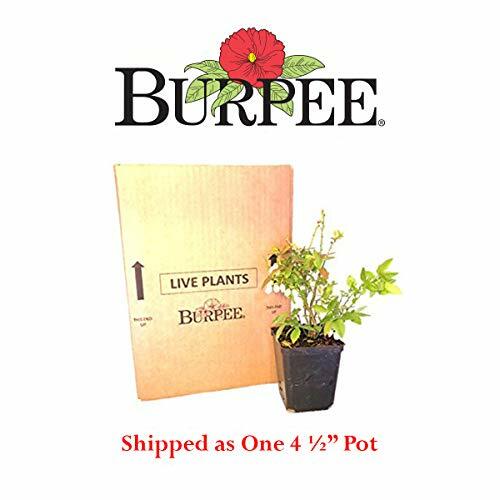 The Burpee Top Hat Blueberry is an ideal blueberry for those who want to grow in containers. 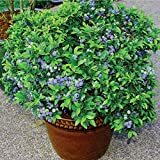 Often blueberries don’t grow that well in containers, but this dwarf blueberry bush was developed by the University of Michigan to be suited to growing in pots. It arrives in a 4.5″ plastic pot and should be replanted in a real pot upon receipt. Depending on when in the season you receive the plant, you may get some fruit in your first year. If not, your plant should begin bearing fruit the following year. This Top Hat Blueberry is suitable for those who live in zones 5-7. A special dwarf, wild blueberry, great in pots. Burpee sources top quality pips fresh every season. As shipped Pot Size: 4.5"
SkygardenLG has for sale a dwarf Nanking cherry tree. The flowers on Nanking cherries are stunning and smell amazing. And naturally, the cherries are delightful to eat! These trees range in height from about 18″ to 36″, and if received in the off-season, will be devoid of greenery. Clementines are among the best tasting orange varieties out there, and we love that they’re (almost completely) seedless! These Clementines by Brighter Blooms ship at about 1′-2′ tall, and should produce fruit within a couple of seasons of receipt, assuming it’s properly cared for. If you’re planning on taking this one outside, you should bring it inside when the temperature starts to dip below 50′. Brighter Blooms offers a warranty on their plants, but it’s only for 30 days. The Grower’s Solution Red Haven Peach Tree is a semi-dwarf peach tree, and it produces Belle of Georgia Peaches. 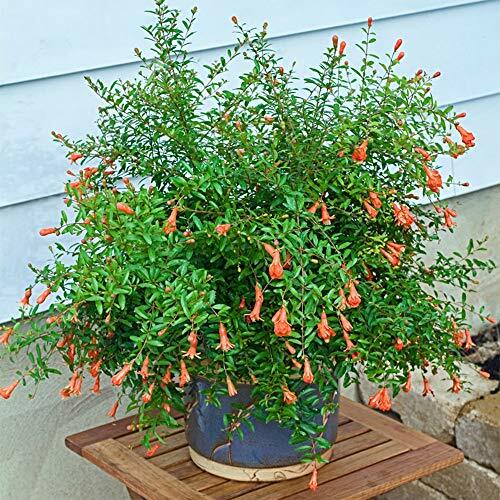 It comes in a 1-gallon pot and should be re-potted when you receive it. This plant is a semi-dwarf variety, the plant will still grow to be up to 12′ tall unless pruned. This plant has stunning flowers, and of course, stunning fruit. This plant will self-pollinate, but you’ll get more fruit if you have two plants so that they can cross-pollenate. 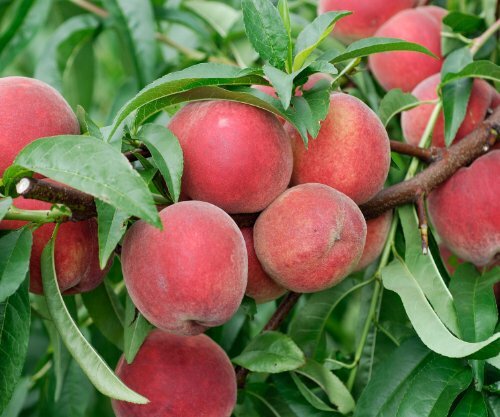 It may take a couple of years to produce fruit, so don’t assume you’ll get immediate peaches! Also, keep in mind that if you receive this plant in the off-season, it will arrive bare, devoid of any leaves or fruit. Plant your own peach orchard in your back yard. 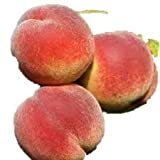 The Red Haven is a freestone peach. This fruit tree will bloom in the spring. The Rainier cherry is the best cherry out there. There, I said it! Fight me Bing Cherry Lovers. 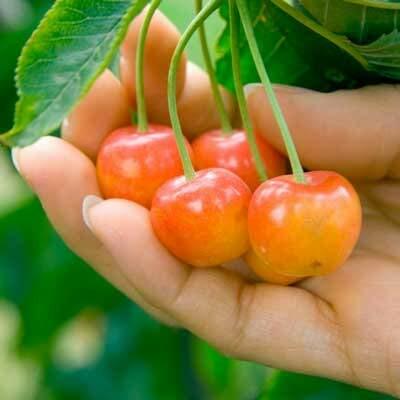 These Rainier Cherry Trees are available in two size options: 3-4′ and 5-6′ in height. At maximum height, if not pruned, these can grow to 10-15′ tall. The cherry blossom is one of the most beautiful flowers in early spring, with its whiteish-pink blossoms. And the fruit! The Rainier cherry is deliciously sweet but has just a hint of sourness. It has a more complex flavor than the popular bing cherry. Note that while these trees will self-pollinate, you’ll get a higher yield if you have multiple trees in a vicinity. They will cross-pollenate, and produce more fruit. The Brighter Blooms Dwarf Rainier Cherry Trees, unfortunately, can’t be shipped to Washington, Idaho, Arizona, or Oregon due to Federal restrictions. Rainier Cherry Tree - 3-4 ft. 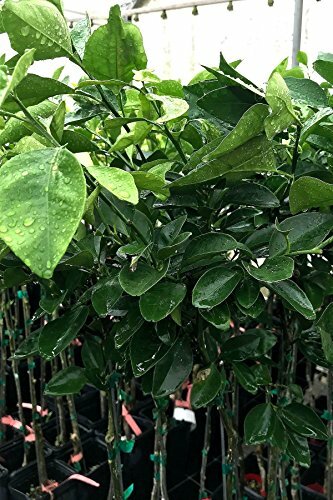 This beautiful Dwarf Valencia Orange tree from Root 98 Warehouse comes in a 1-gallon Citra pot and will produce tasty seedless Valencia oranges. When it arrives, it’s about 1.5-2′ tall, and it will grow to be about 4′ tall maximum. You’ll want to re-pot it into a real pot when you receive the plant. You can grow these indoors or outdoors, and you should bring them in when it starts to get down to around 50′. They’re shipped out at about 1.5 years old, and typically will begin to produce fruit at around 3 years of age. So figure 1-2 seasons before you start getting beautiful oranges. These Valencia Orange trees can’t be shipped to Arizona, California, Texas, Louisiana, Hawaii, or Alaska. Tree is somewhat upright, vigorous and prolific. This listing by Hello Organics includes not one but four organic dwarf fig trees. However, they come in very small pots and will take some time to grow. These arrive in 2″ pots and are typically 2-5″ tall when they arrive. They should be re-potted into a 4″ to 1-gallon pot for a while so that they can grow a bit. Then you can re-pot them once again into a larger pot, or plant in the ground depending on your zone. They can grow to be about 10′ tall, and some can grow significantly larger than that if left unpruned. Keep an eye on your desired size. 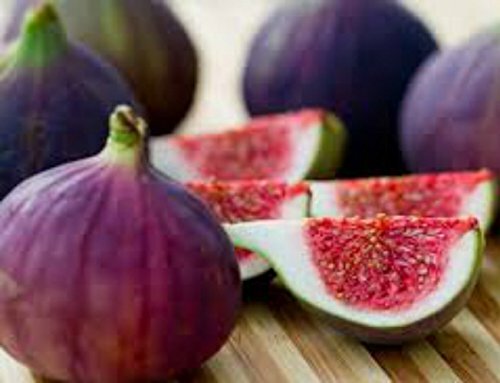 These figs are of the Violette de Bordeaux variety, and they produce a fig similar to a Black Mission fig, though they produce a bit later in the season than the Black Mission. These dwarf figs are hardy, but they need protection in the northern zones. They are recommended for zones 7b-9. Mulberries are not the most well-known fruit in the united states, but these berries are quite tasty, very similar to blackberries. They are wonderful when dried. And of course, mulberry wheat beer is fantastic as well. It will likely start to produce fruit 1-2 seasons from when you receive the plant. Though the variety is called Everbearing, this plant doesn’t actually produce fruit all year. It has a dormant period in the winter where it produces no fruit. This Hirt’s Gardens Dwarf Mulberry arrives in a 4″ pot and should be re-potted into a 6″ pot when received. These self-pollinating dwarf fruit trees grow pretty quickly, and it’s a good idea to snip off and replant about 10″ of the plant when it has grown that much. 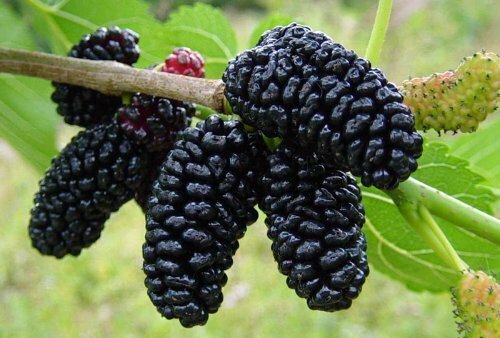 You can try replanting the 10″ cutting and clone your mulberry plant. Overall, this plant will grow to about 3′, though you should continue to prune it. If planted outside and left to grow freely, it can reach up to 15′ tall, depending on the zone. 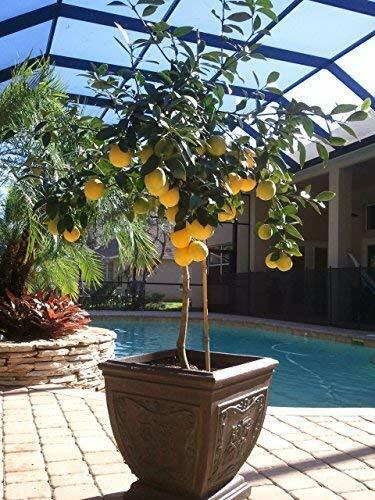 Keep in mind that this may not be an ideal indoor plant, as the plant will produce a lot of fruit, and it can fall to the ground and stain the floor if not properly cared for. Some people hang a net under their plant to catch all the falling fruit. It can be trimmed to any height.